Moonroof! Heated Seats! Backup and Lane Camera! 7yr/160,000 Warranty, Power Moonroof, Heated Seats, Backup and Lane Camera, Push Start, Bluetooth!! 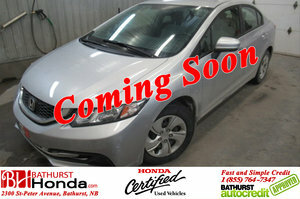 This is an amazing 2015 Honda Civic EX!! Great handling, smooth quiet drive, good fuel economy, unbeatable reliability and so comfortable!!! With its performance, styling and technology that consumers have come to expect, the Civic has been and will remain among Canada’s best-selling car!! !